Valhalla is the cable that turned the cable industry upside down in the year 2001. Unconventional in appearance as in performance, Valhalla set a new standard for many, and became my reference cable back in 2004. The key technology behind Valhalla is Micro Mono-Filament. 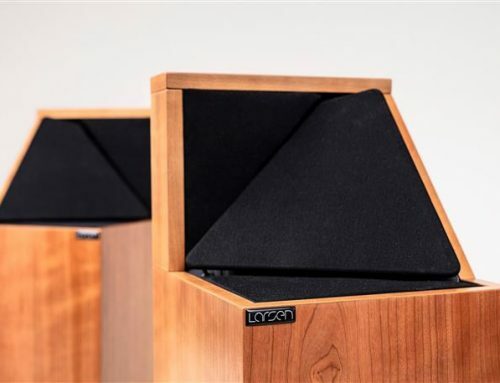 By winding a single FEP filament in a precise spiral around each conductor, before extruding an outer FEP “sleeve” over the top, Nordost created a structure combining the best available dielectric material while spacing the insulation away from the core. 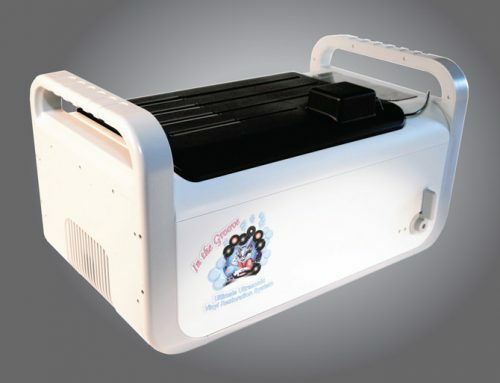 This minimized contact and dielectric absorption as well as created a virtual air environment. Today we are testing the Valhalla 2 which debuted in 2013, a culmination of 12 years of development. While there are many similarities to Valhalla, every aspect of their construction was reexamined. Major innovations include Dual Mono-Filament technology, HOLO:PLUG connectors, and revisions to the number and diameter of the conductors. By spiraling a carefully controlled thread of FEP clockwise around the conductor, and another wound counterclockwise (Dual Mono-Filament), the insulating material can be held at a fixed distance from the surface of the conductor and the air trapped between the conductor and the insulator acts as an excellent dialectic material. FEP itself is an expensive synthetic, the very best available for this purpose, and is of even higher purity than the version used in the original Valhalla. The technology used for this highly accurate extrusion process is exclusive to Nordost, very time consuming and costly to implement. Terminations have come in for radical changes. Not satisfied with any commercially available components, Nordost designed their own connectors, which they call HOLO:PLUG Connectors. They found that much of the information loss in cables happens where the cable interfaces with the conductor. With HOLO:PLUG Interconnects and Speaker Cables, each conductor is assigned a point on an internal ring which continues to the tip of the connector. This ensures that each conductor is transmitting to the connector with the lowest signal loss possible. HOLO:PLUG Power cords utilize a carbon fiber back-shell connector, solid core bronze alloy pins with 85 microns of gold, a low mass dual ring design, vibration control and a 360 degree contact mating surface to minimize eddy currents. The conductor material is made from an extremely pure solid copper core (99.999999%) plated with 85 microns of pure silver. The interconnect now uses ten 24 AWG conductors, the power cord uses seven 16AWG conductors and the speaker cable uses twenty eight 22 AWG conductors in four groups. Cable lengths are carefully mechanically tuned to minimize resonances which can have a harmful effect on the sound. Nordost now recommends spade termination for speaker cables and biwire speaker cables are no longer available. 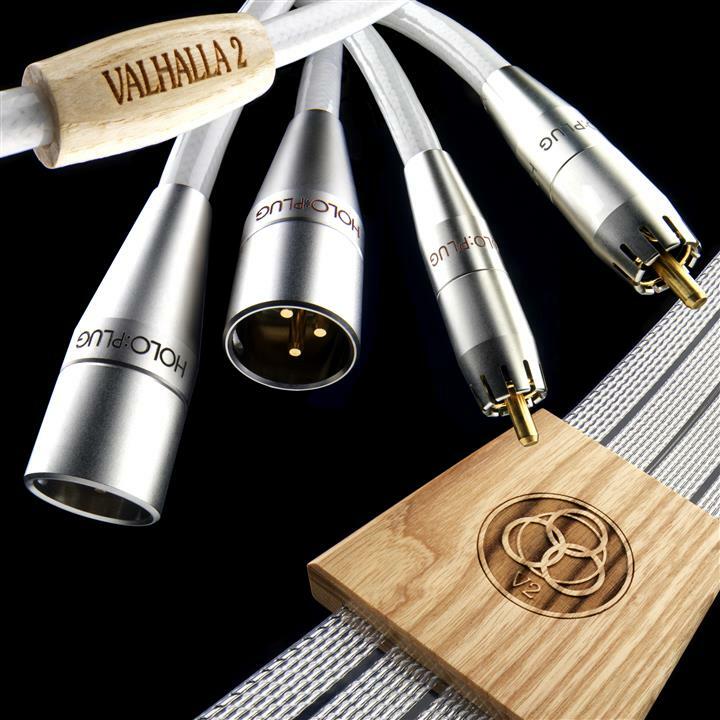 Instead Nordost offers Valhalla 2 Bi-wire Jumpers which I used in my testing. 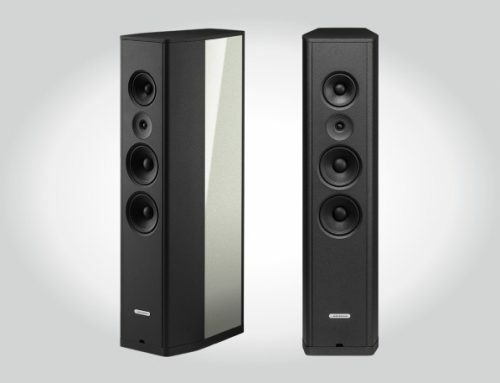 My reference system features the latest version of the EMM Labs XDS1 SACD/CD Player feeding an EMM Labs Pre 2 Preamplifier. 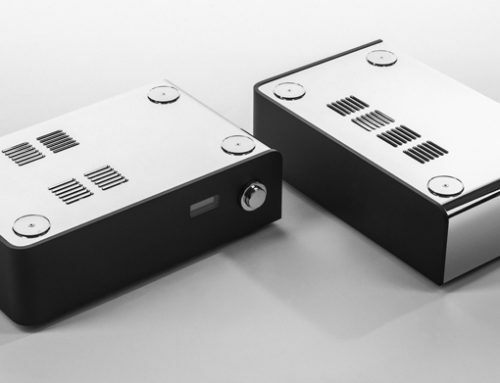 The power amp is a ModWright KWA150 SE driving the new YG Carmel 2 speakers. It’s a breathtakingly revealing system, with vanishingly low distortion, and one that should easily show any differences between cables. 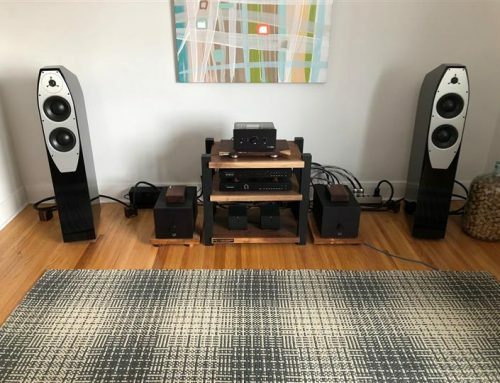 In the left corner, we have the Nordost system of yesterday, featuring a Nordost Thor Power Distribution System and Valhalla cables end to end. In the right corner, I asked Nordost for a QRT Power Distribution System and a full loom of Valhalla 2 cables. Let the games begin. The older Valhalla setup is very revealing, has massive articulation and pinpoint locational accuracy. It’s also a little hard driving and decidedly lean. I like the sound very much, but I don’t find it fully satisfying. It is perhaps a little clinical.